On Friday 7th September 2018, we completed the Coast-to-Coast Cycling Challenge. This involved a gruelling ride over 3 days, to raise awareness and funds for St David’s Hospice in Llandudno. 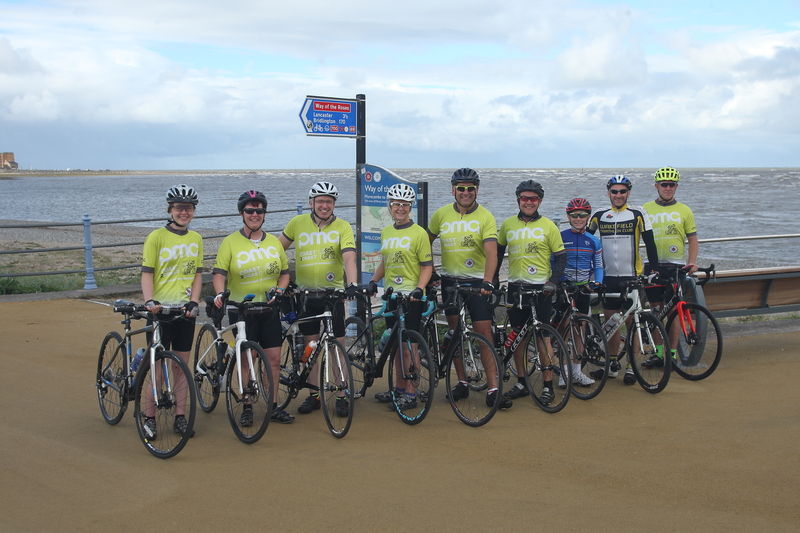 We took on the 170 mile ‘Way of the Roses’, which is a Coast-to-Coast challenge from Morecambe in the West of Lancashire to Bridlington on Yorkshire’s East Coast. Thankfully we were able to enjoy some of the finest landscapes in the Country, as the route took us through the Lune Valley, Yorkshire Dales, Nidderdale and the Yorkshire Wolds. Although the whole PMG team weren’t cycling, it really was a team effort. 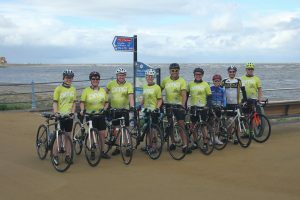 Whilst a group of us donned our cycling jerseys and cycled the route, other members of the team provided much needed back-up support along the journey by providing food, spares and lots of encouragement! We chose to support St. David’s Hospice in Llandudno after it recently provided end–of–life care for Kenneth Kearton-Smith; father of Martin – our Creative Manager. Martin sadly lost his Dad in June this year following a short battle with Cancer. PMG Print Management – not content with riding coast to coast, decided to try riding on water!